Will the Internet relegate college professors to the dustbin of history? Not entirely, according to Microsoft chairman Bill Gates. But one important component of their jobs—the traditional lecture—may grow irrelevant as students begin casting about for alternatives on the Internet. The implication is that students will use the Internet to begin learning online from major “brands” like MIT or the University of California, transforming the lecture from a live performance into something like the music industry, where most music is consumed in pre-recorded form. Gates also said that the notion of a personal assistant—which Microsoft originally called “Microsoft Bob”—isn’t dead yet, by any shot. Steve Ballmer hinted as much last week, when his vision statement for the company's key products talked about anticipating user needs with a product that sounded a lot like Google’s Google Now. "We’re on the beginning of something quite profound,” Gates said, in his keynote address at the Microsoft Research Faculty Summit 2013 Monday. In July 2008, Gates transitioned out of his role at Microsoft to lead the Bill and Melinda Gates Foundation, devoted to solving some of humanity’s greatest problems in health, education, and finance reform. However, he still remains as chairman and as an advisor to Steve Ballmer, Microsoft’s CEO, who reorganized the company last week. Gates has long been a proponent of using technology to solve the world’s problems, and of solutions like the online education services such as those offered by Salman Khan and the Khan Academy. Gates noted, however, that the problems facing impoverished nations throughout the globe often extend into several different areas; for example, the average IQ in sub-Saharan Africa is 82, he said. “That’s not genetics; that’s disease,” he said. Could online courses like those provided by the Khan Academy be the future of education? Kids that are ill simply don’t develop like their counterparts in wealthier countries. Ironically, parents often try to raise multiple children in poorer countries, raising the chances that some will make it to adulthood, Gates said. Within education, Gates has tended to favor for-profit schools, if only because with the metrics they apply to ensure that students make progress—dropouts mean lower revenue. “The way they call students in a couple minutes if you don’t show up—that is a best practice,” Gates said. Because of businesses like the Khan Academy, Gates said he sees lectures becoming more like recorded music, where the “performances” of professors take place in smaller study groups, where they can more directly measure and influence individual students. Likewise, Gates said he sees the knowledge that one derives from a college or university “decoupling” itself from the diploma, simply because it’s available from a variety of sources. Gates also took questions from the audience after his talk. Some of the most interesting are summarized below. Free software vs. patented, paid software: Gates was asked whether he sees any conflict in the paid, patentable software model that he helped pioneer with Microsoft and the free software movement, embraced by necessity by poorer countries. Gates said he did not. Wearable technology in education: Do wearable computing devices have any future in education? Gates looked a bit baffled. ‘Well, it will help you cheat, I guess,” Gates said. 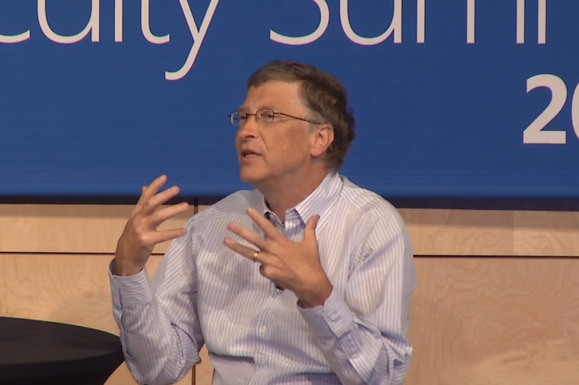 Gates said that he sees a future for wearable computers, not just in education. 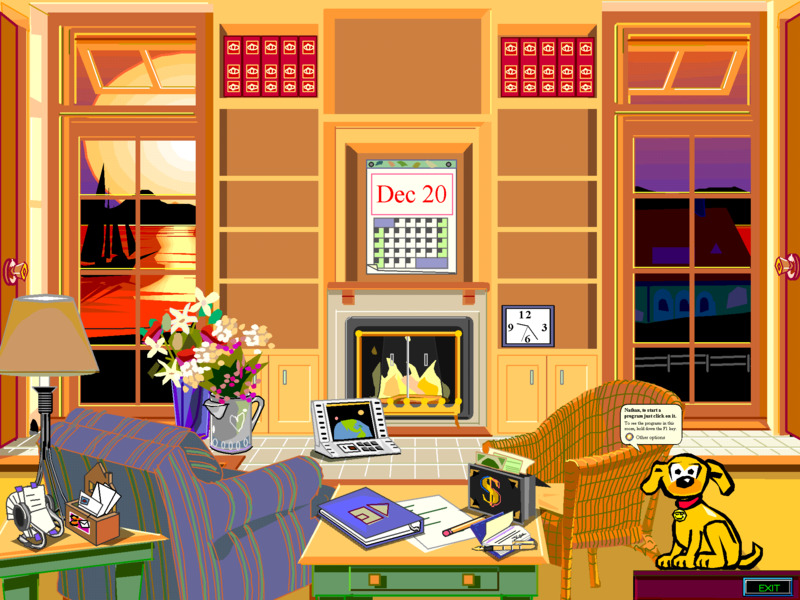 Personalization in computing: Look out; is Microsoft Bob coming back? Gates said that the notion of a “personal agent” was attractive in 1995 when Microsoft launched Microsoft Bob, and even more attractive now.